A few of us recently met up in New Orleans – do I need to say more? Yes! 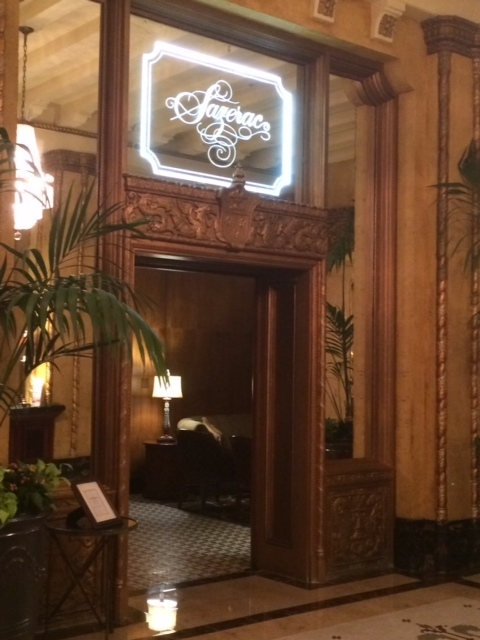 The whole trip was great, but the time we spent at The Sazerac Bar in The Roosevelt New Orleans Hotel was fantastic! Truth be told, we did not specifically plan on going to this bar, but a few of the weekend winos were staying at The Roosevelt Hotel. 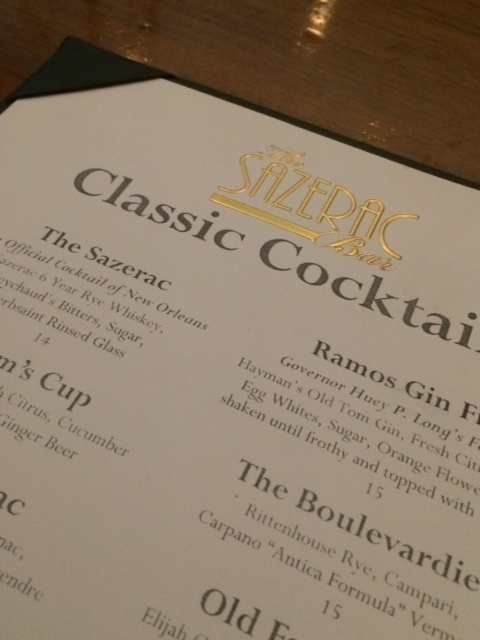 We did want to taste the Sazerac drink, a traditional New Orleans cocktail, and this place made it a great experience. The whole ritual of the two chilled old-fashioned glasses, cognac or rye, bitters, absinthe and the muddled sugar cube is great to watch, and even better to consume. It is a strong drink and pricey, but worth every penny of it. The bar is dark and soothing, with comfortable leather couches (we were there at an off-time, so we could sit back and relax). An old-school kind of bar with dark wood, definitely first-class atmosphere. You can’t help but feel like you are transported back to a different era. The service is impeccable and the mixologists really know their craft. 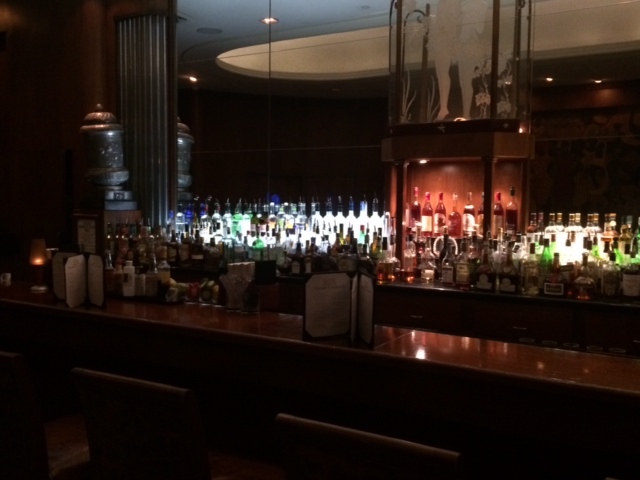 There is a lot of history here and the servers take pride in making it more than a drink at the hotel bar. Pack an Old-Fashioned glass with ice. In a second Old-Fashioned glass place the sugar cube and add the Peychaud’s Bitters to it, then crush the sugar cube. Add the Sazerac Rye Whiskey or Buffalo Trace Bourbon to the second glass containing the Peychaud’s Bitters and sugar. Empty the ice from the first glass and coat the glass with the Herbsaint, then discard the remaining Herbsaint. Empty the whiskey/bitters/sugar mixture from the second glass into the first glass and garnish with lemon peel. Categories: Libations, Travel | Permalink.